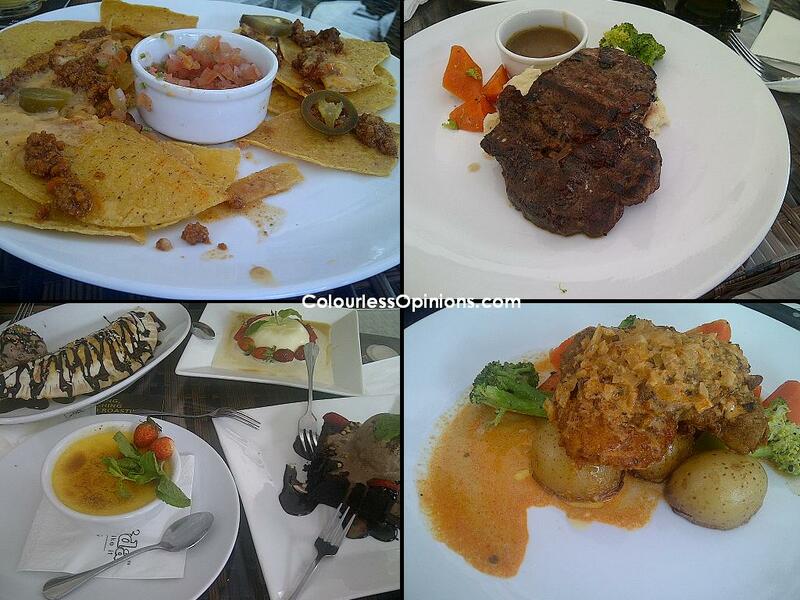 Clockwise from top left: Nachos (RM16); Grilled Rib Eye Steak (RM37); Chicken Pizzaiola (RM27); all available desserts – Comida De Postre (RM12), Panna Cotta (RM9), Hot Fudge Brownies (RM9), Creme Brulee (RM9). 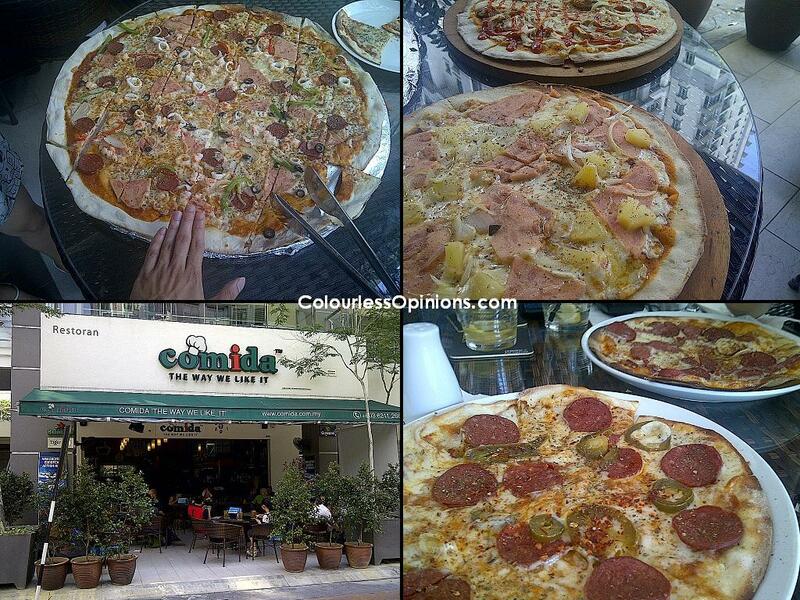 The few of the many pizza choices available at Comida. 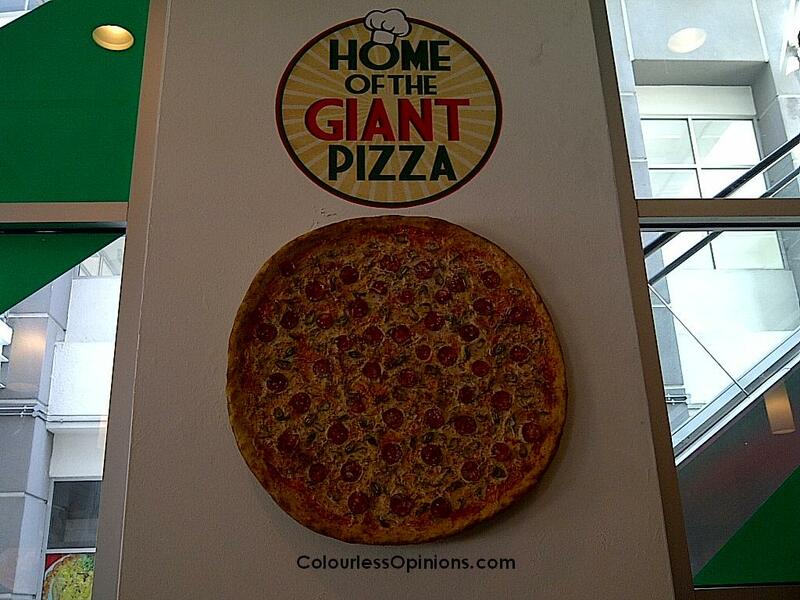 Sizes – 8 inches, 12 inches, 24 inches. Verdict: It took ages for my orders to come and when they finally came, they didn’t taste good enough to compensate the wait. Well, actually, nothing tasted out of this world. On the bright side, however, nothing tasted horrible either. Comida Restaurant‘s menu has a really broad variety of items to choose from and the pricing is pretty decent too. I’m sure at least one of their dishes could had gotten a major approval from me but just pity that I didn’t get to try more than a quarter of they had to offer. This place is ideal for those who are in a group and each has a different opinion of what to have for lunch or dinner. Favourite: Ala Carta Buffer (RM39++ per person) – a very good deal for a two-hour buffet (7pm – 9pm) with 3-5 items to choose from for main entree, pasta, burgers & breads, and pizza. Perhaps an even better offer than what I had for free that day. impress the many bloggers they invited that day. Special thanks to Foodpanda for the invitation to taste the food there. HAHA.. A very long waiting food!